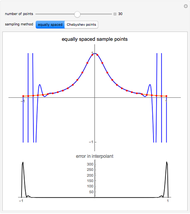 Runge's phenomenon illustrates the error that can occur when constructing a polynomial interpolant of high degree. 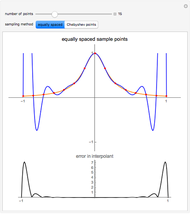 The function to be interpolated, , is shown in orange, the interpolating polynomial in blue, and the data points in red. 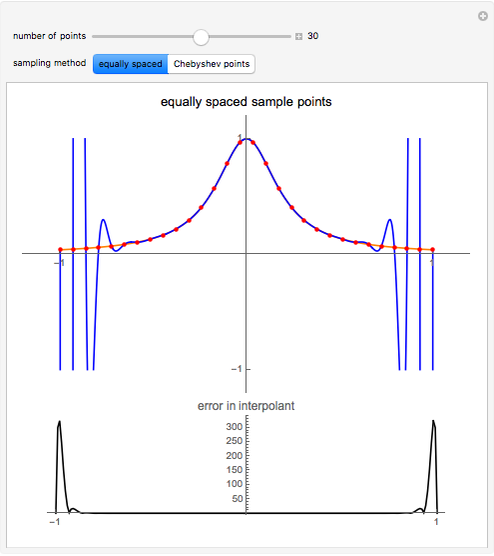 The difference between the interpolant and the function is shown below. 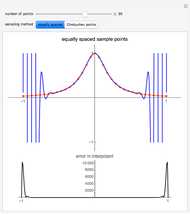 Runge's function is given by . When this function is sampled at equally spaced points in the range , as the number of sample points increase the error difference the interpolating polynomial and the function grow without bound. 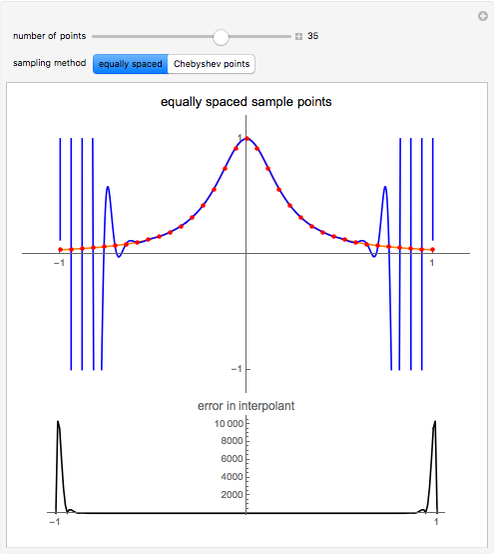 When Cheybshev points are used the error diminishes as the number of points increases.